In conjunction with AUC's Third International Conference on Solar Energy Solutions, Flat6Labs Cairo will be holding an info session on their acceleration program. 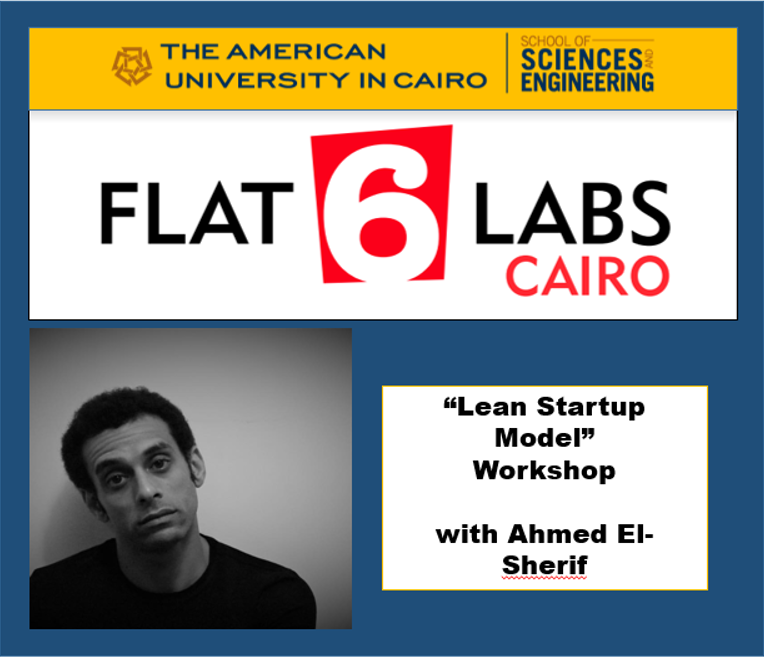 Program Manager Ahmed El-Sherif will be hosting the workshop on the Lean Startup Model. Through establishing strategic partnerships and building long-term linkages with the best organizations in the arena, Ahmed believes in applying a design-led framework towards accelerating and growing startups. Ahmed has advised over 330 startups on their business models, designed and executed 4 startup accelerator programs, 4 training bootcamps, trained over 65 startups, and designed and accelerated the growth of 30 startups. This event is open to the public and registration for the full conference is not required, so come out and join us! Coffee and tea will be served. "AUC is a tobacco-free campus and smoking is permitted in designated smoking areas only." "AUC community includes staff, faculty, students, and alumni."